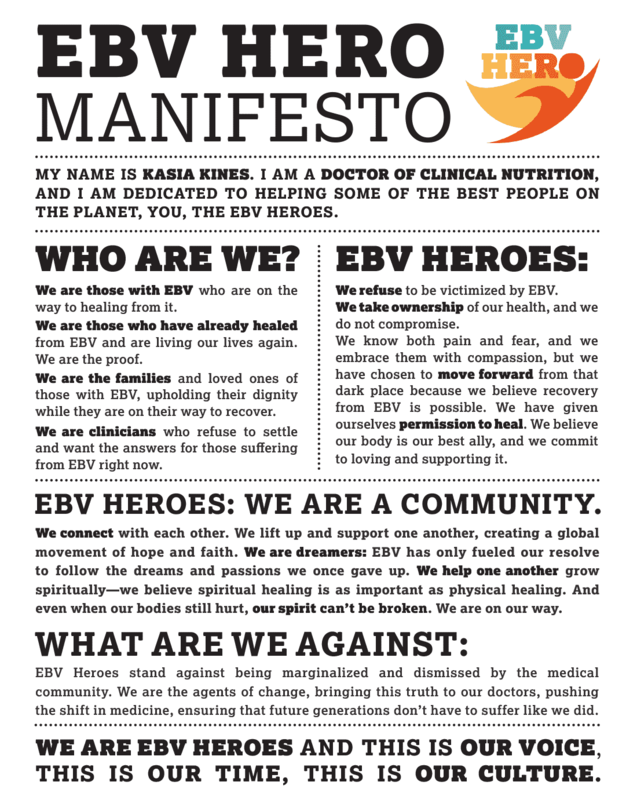 Download our EBV Hero Manifesto! Read it, share it… tell all your loved ones that support you that they are your EBV Heroes. Put it on your fridge or frame it – anything to help you remember who you are, keep your spirit up, and continue on your healing journey. We are creating a new culture and I hope you will join us. We will be creating a community online soon, where there is inspiration, support and positivity. I hope you will make a choice to join us when we are ready to open that community. Visit soon again. We are almost ready to get started. In the meantime, make sure you grab the EBV Solution book and read it!